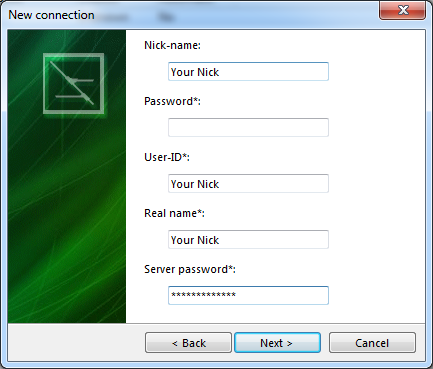 In this thread I'll explain how to configure Nettalk either for a direct connection to OnlineGamesNet or for your Centravi ZNC. If you have not got a Centravi ZNC yet and want one, feel free to contact us on IRC and request one! Nettalk is Freeware and a good client for beginners to start with IRC. Nettalk is available in English, Spanish, Dutch, Russian, Chinese, Hungarian, German, but there also exist translations for some other languages. Then click on "Next" and enter your nick and auth data. E.g., if your account is called "Test" and your password "12345", you need to enter Test:12345. 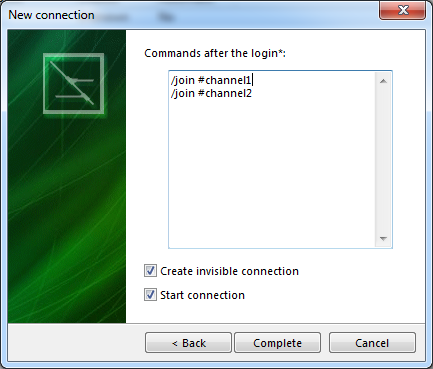 After clicking on "Next" you can enter perform commands, like joining channels. After clicking on "Complete" you will connect to OnlineGamesNet and can use Nettalk now. 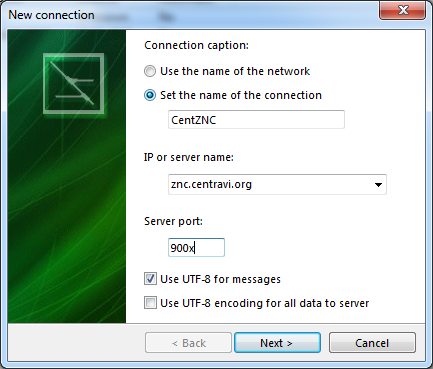 If you want to use your Centravi ZNC in Nettalk, you need to add another server, but with different data. Add a new server with the settings written below. Server password: You will receive your server password from your supporter. Do not use your AuthServ password! Note: Please do not forget you need to stay in #Centravi with your CentZNC!